National forklift distributor Toyota Material Handling Australia (TMHA) has celebrated 50 years of Toyota forklift sales in Australia with a gala function in Sydney on Thursday, April 5. Highlight of the golden anniversary celebrations was a function at the Shangri-La Hotel and Sydney Harbour dinner cruise - attended by senior Toyota Industries Corporation (TICO) executives, TMHA management, the consul-general of Japan in Sydney Keizo Takawaka, Toyota Group guests and major fleet customers. Television personality Kerri-Anne Kennerley was the MC, with entertainment from the Japanese performance group George and Noriko, and singer Christine Anu. Speakers included TMHA chairman Tom Nakazawa, TICO Senior Managing Officer Toshifumi Onishi and newly appointed TMHA President Steve Takacs, with guest presentations by sleep expert Dr Carmel Harrington, "altruistic marketer" Peter Sharp and McGrath Foundation President Glenn McGrath. 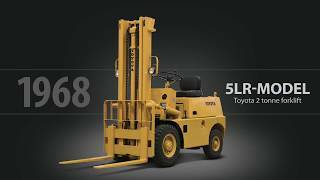 Mr Nakazawa said Australia is an important player globally for TICO, with Toyota Material Handling Australia's sales holding the number eight position in the world for overall Toyota forklift sales. "This is an outstanding achievement, considering the smaller population in Australia compared to the many countries it has outranked," he said. The company is continuously adding new products to its portfolio, with the latest additions being industrial sweepers and scrubbers, along with "Aichi" brand scissor lifts, another Toyota Industries Company. A highlight of the Shangri-La event was the traditional Japanese custom of painting in the eye of a Daruma doll, along with a closing performance by performance drummers Taikoz.